Simon specialises in all civil aspects of consumer and regulatory law, including consumer credit, financial services, consumer contract law and disputes, trading law and telecommunications. He is regarded as a Band 1 expert in consumer law by Chambers and Partners and is ranked by Legal 500 in the areas of Consumer (Band 1), Banking and Finance (including Consumer Credit) (Band 2) and Financial Services (Band 2). In the area of consumer credit Simon regularly advises on issues such as the compliance of consumer credit documentation and procedures with the provisions of the Consumer Credit Act 1974 and its subordinate legislation, the drafting of documentation, customer disputes, and the securitisation or sale of loan portfolios. He advises and acts for lenders and other businesses in court proceedings concerning consumer credit, such as challenges to the enforceability of regulated agreements, claims under s.75 of the Act and challenges to unfair relationships under s.140A of the Act. Simon provides training in the area of consumer credit to solicitors’ firms and lectures on consumer credit at Manchester University. Simon advises consumer credit businesses in respect of regulatory challenges and he has appeared for consumer credit licensees and authorised persons in hearings before the FCA’s Regulatory Decisions Committee (RDC), the Office of Fair Trading, the Secretary of State, the Consumer Credit Appeals Tribunal, the First-Tier Tribunal and the Upper Tribunal. Simon advises on compliance with the provisions of the Financial Services and Markets Act 2000, the rules applicable to providers of financial services (such as the FCA Handbook), and the provisions of the Financial Services (Distance Marketing) Regulations 2004. He has advised businesses and the Finance and Leasing Association on the transfer of consumer credit regulation from the Office of Fair Trading to the Financial Conduct Authority. He appears for businesses in court in respect of claims made under the FSMA (such as payment protection mis-selling cases), and he drafts and reviews financial documentation. He also advises on Money Laundering issues. Simon advises and appears in court for both businesses and regulators in respect of compliance with consumer protection legislation and regulatory disputes. He has acted in respect of claims made under Part 8 of the Enterprise Act 2002, cases concerning the Consumer Protection from Unfair Trading Regulations 2008, distance selling issues, inertia selling issues, pyramid selling and trading schemes and doorstep selling issues. He also advises in respect of compliance with the General Conditions of Entitlement for telecommunications providers made by OFCOM. Simon advises on and drafts contractual terms for businesses, and appears in court in contractual disputes concerning consumer contracts. Simon acts for both large national clients (for example BT and Sky) and smaller businesses. His expertise includes unfair contract terms (for example compliance with the Unfair Contract Terms Act 1977 and the Consumer Protection from Unfair Trading Regulations 1999), sale of goods disputes (for example claims involving the Sale of Goods Act 1979) and claims involving the incorporation of contractual terms. Simon also acts in commercial disputes, general common law claims and employment claims. Fortwell Finance Limited v Halstead  EWCA Civ 676: decision of the Court of Appeal rejecting the borrower’s attempt to set aside a consent order on the grounds that the entry into the consent order constituted the regulated activity of administering a regulated mortgage contract within the meaning of Article 61(2) of the Financial Services and Markets Act 2000 (Regulated Activities) Order 2001. Nationwide Debt Consultants Ltd v Financial Conduct Authority  UKUT 0142 TCC: decision of the Upper Tribunal refusing to suspend the effect of termination of a debt management company’s interim permission under the Consumer Credit transitional provisions regime in FSMA 2000. Sodha v Office of Fair Trading CCA/2008/0005: Appeal from a decision to revoke a credit broker’s consumer credit licence. Gave guidance on the appropriate approach to costs in the Consumer Credit Appeals Tribunal. I am a barrister that provides legal services. You can contact me at simon.popplewell@goughsq.co.uk , on 0207 353 0924 or at Gough Square Chambers, 6-7 Gough Square, London EC4A 3DE. I will always keep my client’s information confidential, unless my client consents to its disclosure or I am required to disclose it by law. 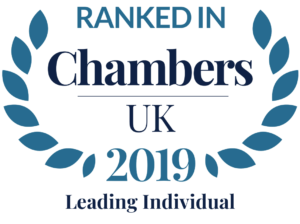 As part of my role as a barrister I may disclose information to my clients, solicitors, other legal professionals, my chambers, regulators or other legal bodies, third party suppliers (such as IT providers), legal advisors, and courts or adjudicators. You have the right of access to your information (a data subject access request), the right to correct inaccurate information, the right to erase information (to be forgotten), the right to object to or restrict my processing of your information and a right to information portability. Please see my Full Privacy Notice for information on how to exercise these rights. You also have the right to withdraw any consent that you have given me to use your information (although if I have other grounds on which to use your information I may still do so). Please see my Full Privacy Notice for more information on how I use your information and your rights in respect of that use. Simon is authorised to accept Direct Access instructions and will act on this basis for businesses and professionals.